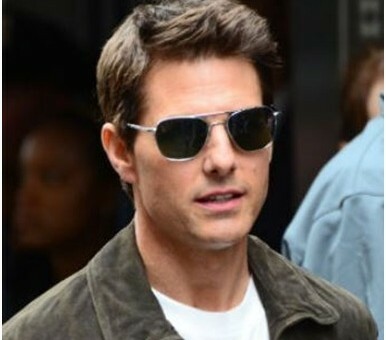 Not the regular aviators with conical shape (like in Top Gun), this type of eye gear has a slightly rectangular shape which looks really swell on Tom Cruise in the sci fi adventure movie – Oblivion. It comes with a metal frame and is mostly suitable on anyone as it features adjustable silicon nose pads. Tom dons these sunglasses and carries a cool, next door boy charm and personality!